Quick and easy, panelling systems have the ability to transform any bathroom. We stock a wide range of vinyl flooring in wood and stone styles that will transform your bathroom design plans. Vinyl flooring has many benefits for the bathroom. It's warm underfoot, can be fitted alongside underfloor and is wipe clean. The system is quick and easy to lay with no need for glue or adhesives. A simple lock and click systems allows the tiles or planks to be joined together. 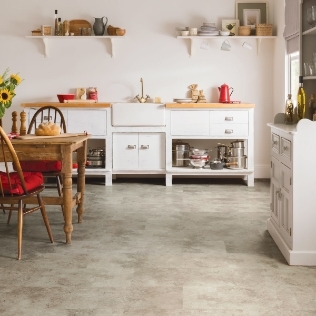 Whilst vinyl flooring is the perfect solution for bathrooms, it also makes an ideal choice for many busy areas within the home. 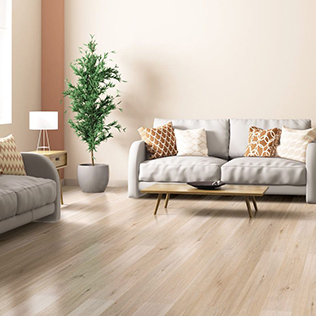 The flooring is not susceptible to warping or swelling so you never have the worry that it will become distorted.